Nicknamed �Mattio,� Unger's best career finish was a 2000 fourth with Mike Whitmarsh at Huntington Beach. After leading the Palisades High School volleyball team to the 4-A city championship title in 1988, Unger had a standout college career at Cal State-Northridge where he led the Matadors to a 1993 NCAA runner-up finish. He still holds Northridge�s career assist mark (5,732). 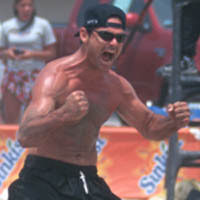 Unger was also an assistant coach at Northridge for both the men�s and women�s volleyball teams (1993-95).